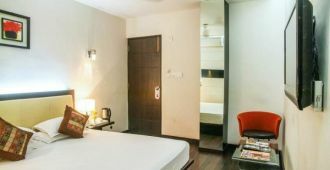 Experience luxury in a budget rate within the comfortable ambiance of this budget accommodation, which is located near Park Street. Bearing a total of 22 decently furnished rooms, this place also offers a multi-cuisine restaurant. This places' proximity to the shopping areas, business centers, banks and ATM center has made it an ideal place for a comfortable stay.